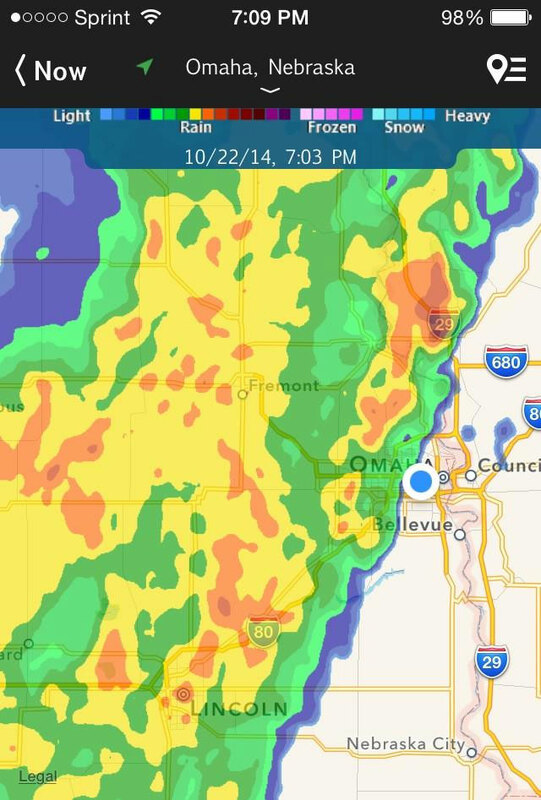 What’s the deal with GET YOUR LIFE PRESERVERS READY EVERYONE? 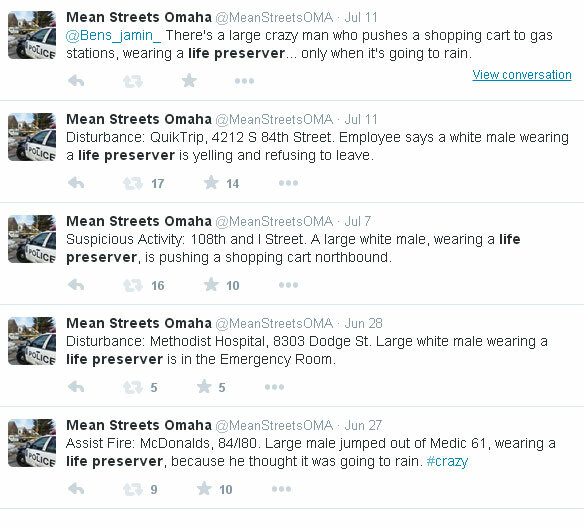 The LIFE PRESERVERS joke dates back to June 27th, 2014 with a series of tweets about a large, crazy man wearing what is described as a “life preserver”. 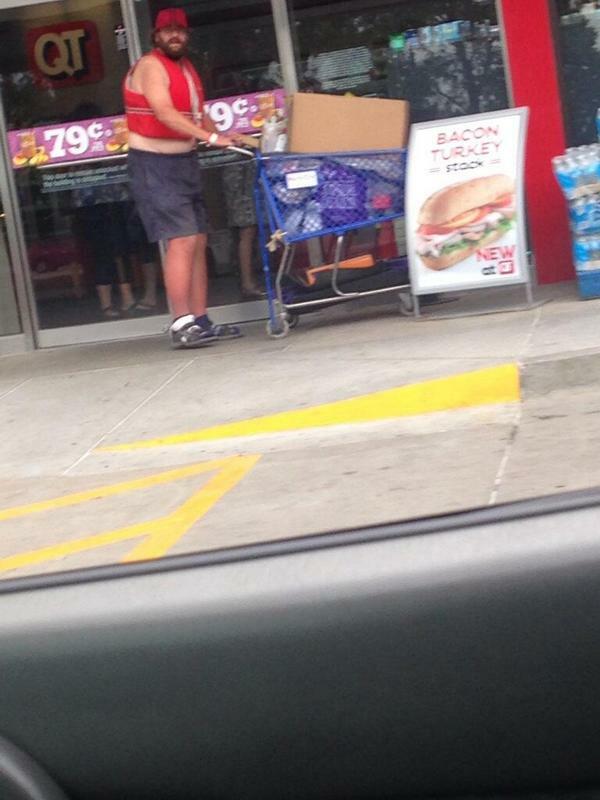 Life Preserver Guy was later captured by a follower outside of a QT. Life Preserver Guy was described as wearing a life preserver because he thought it was going to rain. 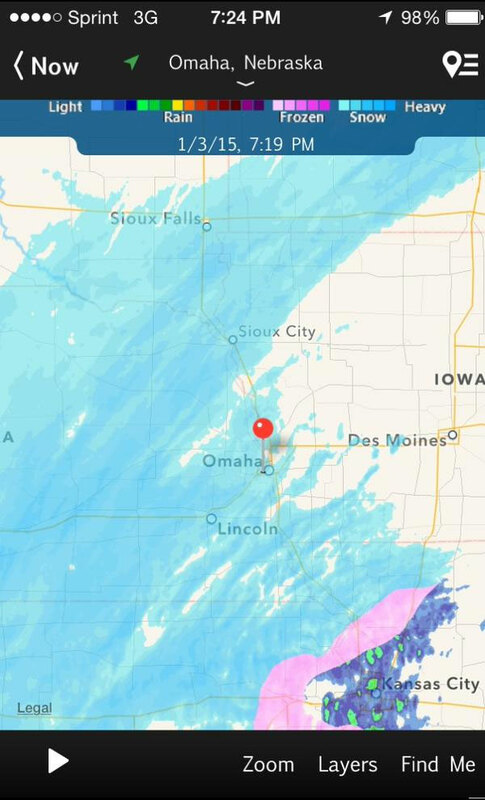 So, a @MeanStreetsOMA tradition is to tweet a picture of a ominous looking weather radar screenshot every time a storm is coming to warn EVERYONE to GET YOUR LIFE PRESERVERS READY. It has come to represent the absurd hilarity that happens with people whenever big scary storms are approaching. The joke has continued on through the winter.